KOTH (round 2) will be traveling to SkyHigh MX Park in Missouri this weekend. 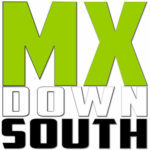 We would like to thank Southaven Kawasaki & Yamaha for their sponsorship of the KOTH Series. This weekend you will receive “Sky Bucks” in each class for 1st -5th place if you are riding a Kawasaki or Yamaha. Practice will be from 10-4 Saturday, July 21, with the following practice order: Big bikes-A & B riders, Big bikes-C & D (Beginner riders), 85â€™s, 65â€™s, 50â€™s. Remember that the first lap in the 1st practice session is yellow flag. This will apply at each round of the KOTH Series. Races will be on Sunday, July 22. Worship services will begin at 7:30am. We will start practice at 8 in the same order as above, followed by the riders meeting. There will be a tribute lap prior to the first practice. There will be early sign-ups on Saturday, and sign-ups on Sunday will be open until practice starts. Please do wait until the last minute to sign up. Please print sign-up form off the website(http://www.kothmx.com) for quicker and easier sign-ups. Again, thank you SKY Motorsports for your help and support in the KOTH Series. If you need bikes or parts, give them a call atÂ 662-393-2877Â or visit them Monday – Saturday at 8668 Whitworth Street Southaven, MS 38671. They would love the opportunity to see what they can do for you. Give them a chance to earn your business and friendship! Practice Saturday 10:00 A.M.- Early sign-up 3:00 P.M.